Children’s everyday drawing and writing are paradoxical: charmingly engaging, yet seemingly unremarkable in their ordinariness. This book takes a very close look at what passes by largely unnoticed at home and in school: copying, texts fleetingly present then gone, a picture drawn after the valued work of writing has been completed. Examining features of children’s text making that are commonly disregarded because of their very ordinariness, or dismissed as mistakes because they are flawed or lacking, the book examines features such as shading, arrangement and forms of shorthand, and uncovers an intensity of effort in the making of meaning. In decisively shifting the focus away from insufficiency to what children can do and to the ‘work’ they invest in the texts they make, the lens taken here reveals resourcefulness and purposiveness. The unremarkable turns out to be remarkable. This has the most profound implications for what takes place at school, and beyond. 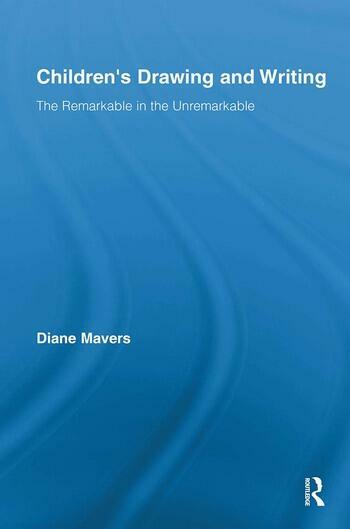 Diane Mavers is a Lecturer in Contemporary Literacy at the Institute of Education, University of London.